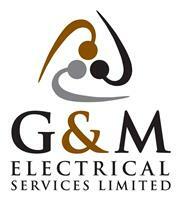 G&M Electrical Services Ltd is a long established Ringwood based company servicing the Hampshire and Dorset areas. With over 30 years' experience, we are a professional, fully insured, local company who prides itself on quality of service and reliability, ensuring customer satisfaction throughout. All our work is accredited to NIC EIC standards, complying with both the latest electrical installation regulations (BS7671) and Part P of the building regulations. All aspects of electrical works are undertaken to the highest standards. Whether it’s as small as changing a light, or a full domestic, industrial or commercial installation, G&M Electrical will be happy to help. Please do not hesitate to contact us with your requirements for a free quotation. We cover a large local area including: the New Forest, Christchurch and Bournemouth.